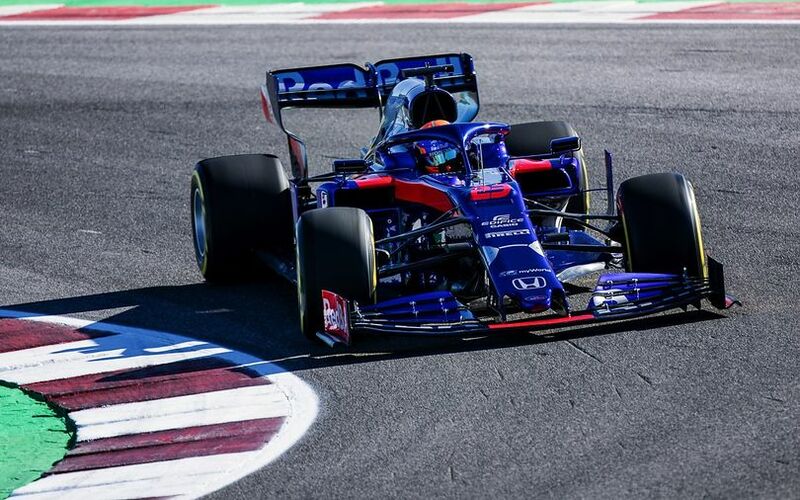 Toro Rosso's deputy technical director, Jody Egginton talks STR14, and how the team tackled new challenges, along with an increased integration with Red Bull Technology thanks to sharing the same power unit with RBR. front suspension looks particularly different. can we expect something different at melbourne though? They’ve moved from the Mercedes ‘raise suspension as high as possible’ model to the Ferrari ‘high intake so keep suspension low’ philosophy. So no, don’t think this will change. It looks like the airbox vents straight through to the back of the car. I have not seen this before. Is it "standard" practice? reducing pressure build up perhaps? Or just the most efficient way of cooling the turbo, some intercoolers and the exhaust pipes. We also dont know if the car is complete on the pictures. Just an incomplete model. There would be no point having pressure relief when you could just limit the air going in in the first place and have a more slippery car. As expected. RB14B with some sort of Ferrari inspired channel before sidepod cooling entries. Central cooling inlet looks huge. not so fast. The only rb14 part I noticed was the sidepod inlet. Everything else was most definitely not rb14 including the halo. STR didnt copy it from Mercedes, they invented them the same year. Last edited by Blackout on Tue Feb 12, 2019 8:03 am, edited 1 time in total. Some posts about how to best Copy Red Bull have been moved to the Team Thread. Please keep it about the Hardware of the Car in here. Sauber didnt copy it from Mercedes, they invented them the same year. Merc and STR first used them in 2016 AFAIR. Last edited by Blackout on Tue Feb 12, 2019 11:02 am, edited 1 time in total. Yes, aware of the lineage of the suspension philosophy (albeit, as shown above, STR and Mercedes launched cars at pretty much the same time with this type of front suspension) - I used ‘Mercedes’ and ‘Ferrari’ as shorthand buckets for the two of philosophy when it comes to suspension height; the point being that a lower suspension ‘matches’ a high sidepod inlet, so no reason to assume this will change on the STR. Apologies if this wasn’t clear. I would say that this Mirror Arrangement is illegal (too much outside). Although I could be wrong. Mirror mods: Small changes to the mirror regulations in light of the larger rear wing, in order to maintain adequate rear view visibility and safety.